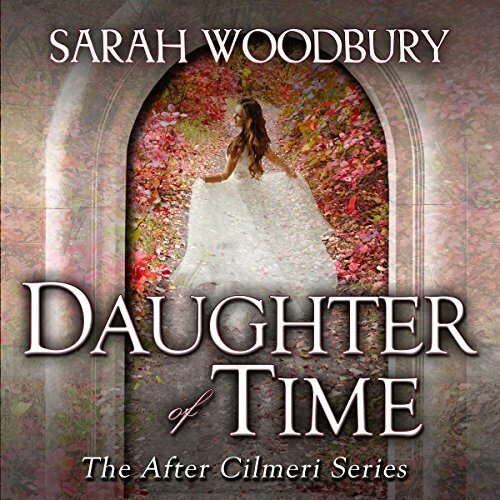 Daughter of Time is appropriate for listeners from young teens to adults and is a prequel to the After Cilmeri series: A medieval man with an uncertain destiny, Llywelyn, the Prince of Wales, faces treachery and deceit at the hands of friends and foes alike... A modern woman with a troubled past, Meg's life is in tatters when she slips through time and into medieval Wales... Only by working together can Meg and Llywelyn navigate the shifting allegiances that threaten the very existence of Wales - and create their own history that defies the laws of time. A note from the author: I am so happy to be able to share with you this prequel to the After Cilmeri series. 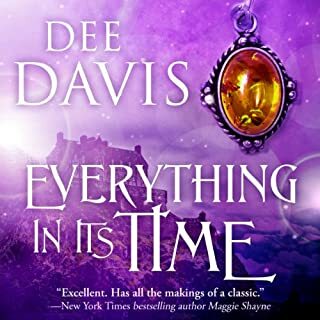 I created Footsteps in Time and Prince of Time first, and only wrote Daughter of Time after so many listeners wanted to know how the story began. Meg's journey is continued in Footsteps in Time and Winds of Time, a novella that is meant to be a companion to the series. Happy listening! A good story on its own, Daughter of Time is the start of a series that continues to delight and intrigue me. I listen to this over and over. It’s my go to book for playing while I sleep because I know it so well that if I happen to wake up while it is playing, just a couple sentences and I know right where Meg and Llewelyn are. Pleasantly Surprised. Better Than I Expected ! I really liked this story way more than I thought I would. It’s labeled a “prequel”, but if you haven’t read/listened to any of the “After Cilmeri” series, you’re in luck, as its even better to start here. The story of Meg and Prince Llywelyn is well crafted, often deep, often humorous and a good romp. Don’t let all the history throw you, just go with it. Knowing the exact historical events is not necessary to follow the plot and enjoy the book. Each character becomes more and more interesting as the story goes on. And yes, the first person narrative switches between Meg and Prince Llywelyn, but you get used to that quite quickly and it just plain works. I found the narration a bit fast paced in the beginning, but gets easier to understand after a couple of chapters in. I’ll give you another little hint: When you get to the end of this book and long for the story to continue, no worries, as the next book, “Footsteps in Time” is even better! The narration on that audiobook is smoother paced. Go ahead and treat yourself, this series is a pleasant surprise. Loved the history and the accents the narrator used. Off to the next book in the series! I enjoyed this book very much, it was the first I had read by this author, now I look forward to reading some of her other books. I didn't like the narrator at all. She was very choppy and was more like she was reading it staccato rather than sharing a story through the voice of the characters. The story itself was a good one, but the writing was full of things that were very inconsequential to the plot and simply bored me. Listened twice with an interval of several months and enjoyed more the second time. Planning to continue the series immediately since I am in the car traveling for work often and want this book fresh in my mind! A young wife and mother, abused and suddenly widowed, sets out for ice cream with her toddler daughter only to be transported to 13th Century Wales. Llywelyn, the Prince of Wales, observes a strange chariot (a car) descend near his castle, goes to investigate and rescues Meg and Anna. 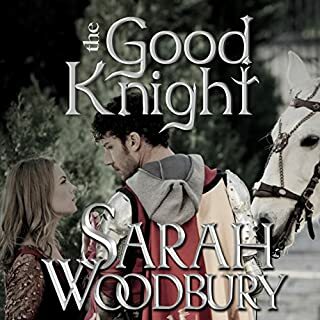 Thus begins the prequel of the extensive After Cilmeri series by Sarah Woodbury in which the author has imagined an alternative history for Wales where England doesn't conquer it but keeps on trying to do so. 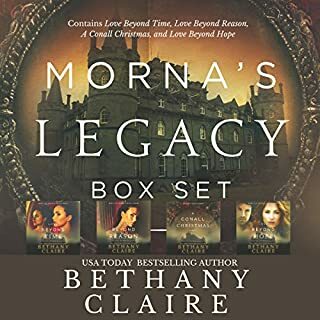 While you have to suspend your disbelief on some points, it is a well written historical romance with well developed characters. Woodbury sets her stage, making Wales and the political and social environment come alive. High marks to the narrator for fluidly reading the Welsh names. Suitable for teens but complex enough for adults who enjoy the time travel genre. 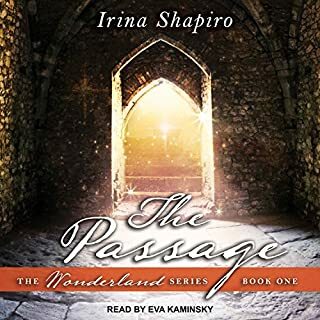 I'm not a huge fan of romance novels, but consent to listen to time travel ones when traveling in the car with my sister. Most drive me crazy with the heroine being stupid and illogical and the hero overbearing and dense. Neither occur in this book. Both accept the reality in which they find themselves. I also liked the fact that they became friends before lovers. Most of these books have them tumbling into bed madly in love/lust by the second night. I have given this 5 stars in spite of it not really being my favorite genre. The story is well written, with well developed characters and a plot that keeps your interest. In addition, the switch between the male and female main characters is well done and unique. If historical romance is your passion, you will enjoy this book. I had previously read these books for a little light relief, after all, we all like a little escapism. 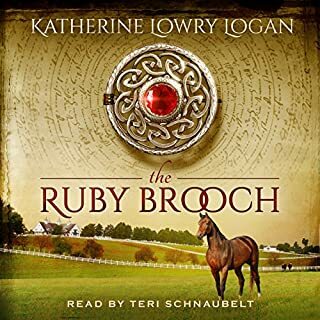 I had enjoyed the Outlander books and as my husband is Welsh I thought I'd try this audio version. However, all was fine until Llywellyn ap Gruffydd started speaking. What! I'm sorry, but what accent was the narrator attempting to do? It was unbelievably bad and bore absolutely no resemblance to a Welsh accent. It was truly appalling and I had to stop listening, so a total waste of money. Loved the history of the story. Very good description of the surroundings and very well narrated. Wosrt Welsh accent I've ever heard.. Worst Welsh accent I've ever heard. It sounds more Asian than Welsh. Some modern words used that shouldn't be. i really loved to story line. i did not like the voice of the reader. The theory of time travel was handled in a simple and believable manner. Listening to it added the extra dimension of accents and the correct pronunciation of the welsh words, something I would never have managed by myself. Overall it was a great "read". What disappointed you about Daughter of Time: A Time Travel Romance? 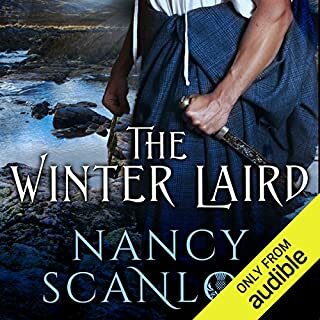 After being recommended as a good book to read during Droughtlander, however I was bored and disinterested due to the repetition and lack of skilled authorship. What was most disappointing about Sarah Woodbury’s story? Poor quality of storytelling, with gaps in the details, kept me wondering too often, and lacked variety during conversations. What didn’t you like about Laurel Schroeder’s performance? She didn't keep my interest, lacked expression and variety in character voices. Not recommended for anyone who loved the Outlander series, pales by comparison. Story is ordinary, narration is awful. The author misses the chance to describe emotions and glosses over events way too quickly. I also felt the language used was a bit too modern for the period it is set in. A bit of fluff and minimal substance.